Requirement has been in effect since June 14, 2013. 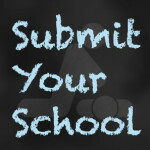 Course required at least once in grades 7-12 as a prerequisite to graduation. Training must include CPR with hands-on practice. First Aid and AED training is NOT required and training does not need to result in certification. Course must developed by an organization using nationally recognized, evidence-based guidelines for emergency cardiovascular care. Where in curriculum CPR will be taught, the content of the course and the intensity of the course are left to the discretion of the school district. 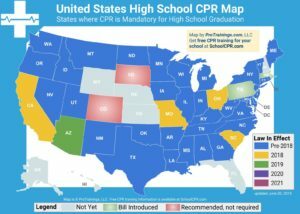 The State Board of Education by rule shall require instruction in cardiopulmonary resuscitation for students in grades 7 through 12. The instruction may be provided as a part of any course. A student shall receive the instruction at least once before graduation. Cardiopulmonary resuscitation instruction must include training that has been developed: by the American Heart Association or the American Red Cross; or using nationally recognized, evidence-based guidelines for emergency cardiovascular care and incorporating psychomotor skills to support the instruction. For purposes of Subsection (e), “psychomotor skills” means hands-on practice to support cognitive learning. The term does not include cognitive-only instruction and training. Districts have the option of allowing emergency medical technicians, paramedics, police officers, firefighters, teachers, school employees or other qualified instructors to provide the training. An instructor is required to be authorized to provide instruction in CPR only if the instruction is intended to lead to certification for students. Students who entered the seventh grade during or after the2010-11 school year are required to receive instruction in CPR.